Cell migration is a fundamental cell behavior critical to the maintenance of homeostasis and is an essential element in wound healing and metastasis of transformed cells. Identification of potential lead therapeutic compounds would be facilitated by improved methods for high throughput screening of cell migration. 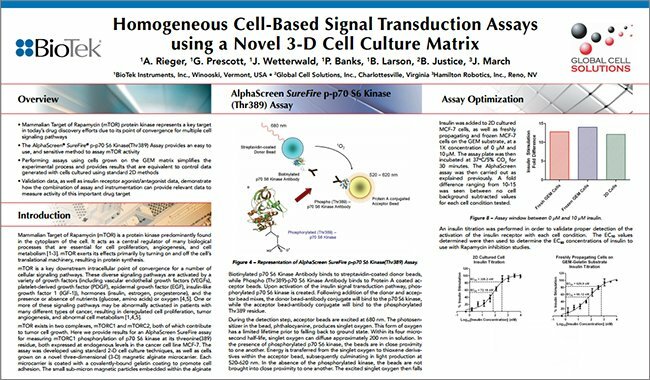 Here, we report the development and validation of a novel cell migration assay that utilizes a 96-well format. 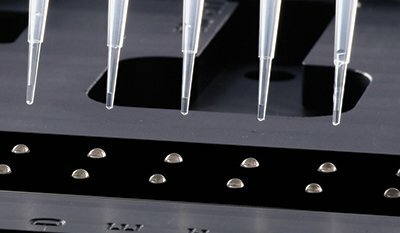 The Oris™ Cell Migration Assay* integrates a 96-well plate with polymeric inserts that exclude cells from the central region of the well and a mask that fits on the bottom of the plate and limits detection of signal to the central region of each well. After cells are seeded and allowed to attach, the polymeric insert is removed and cells are allowed to migrate into the central analytic zone (defined by the opaque mask). 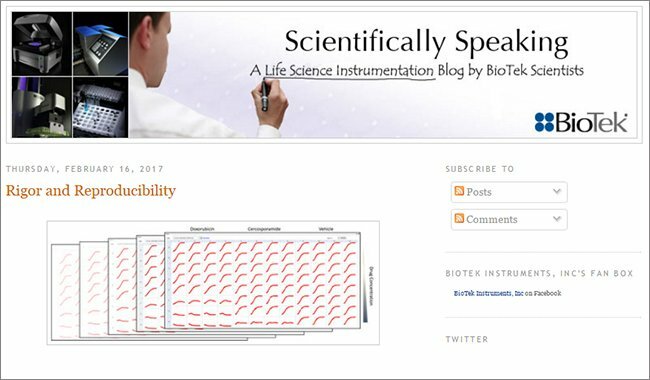 After incubation, cells are stained and the assay is measured using a Synergy™ HT Multi-Mode Microplate Reader from BioTek Instruments. 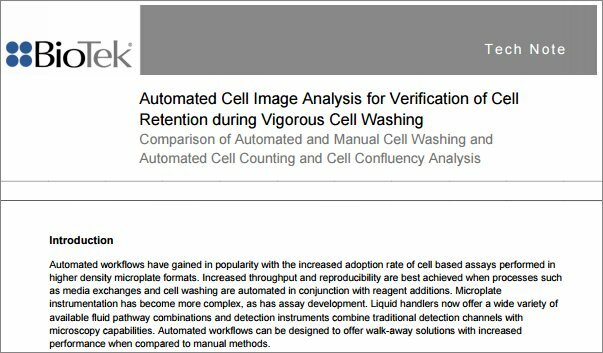 The Oris™ Cell Migration Assay is described here and data is presented to support its use for screening test compounds that may stimulate or inhibit cell migration. 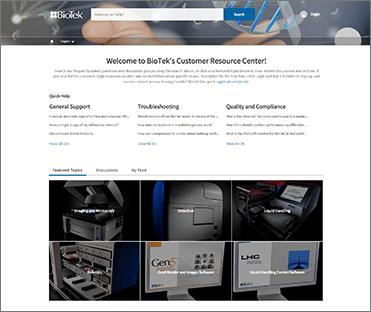 The assay format allows the user to investigate cell migration as an endpoint or kinetic assay. Cell migration is a fundamental activity intrinsic to development and maintenance of homeostasis in processes such as wound healing, neovascularization and the workings of the immune system. 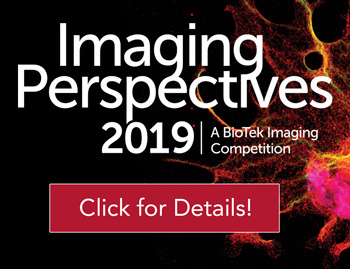 The failure of cells to migrate, or the movement of invasive cells into inappropriate locations, is central to many disease processes such as dysregulated wound healing and cancer. 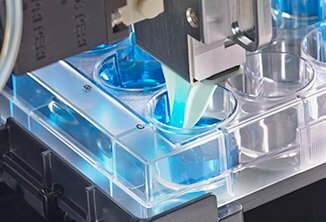 Additionally, understanding cell migration is critical to emerging technologies such as tissue engineering and the successful bio-integration of prosthetic devices. 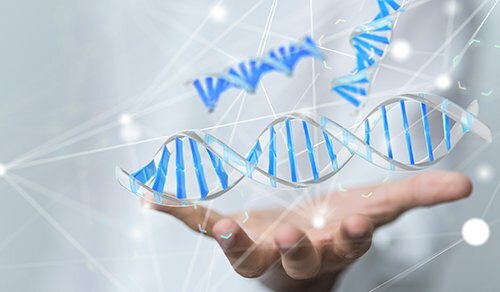 There is a need for new technologies that will enable migration and invasion assays that are more reliable, less labor intensive, consume fewer cells and reagents, can be performed in less time and are amenable to high throughput formats. 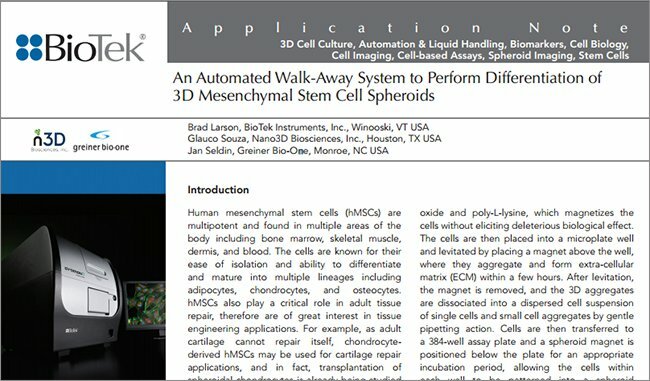 In this regard, a novel two-dimensional cell assay, the Oris™ Cell Migration Assay, is described here and data is presented to support its use for screening test compounds that may stimulate or inhibit cell migration. 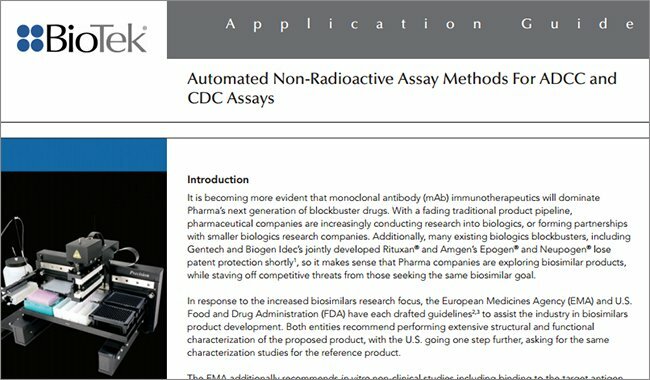 The patent pending assay format allows the user to investigate cell migration as an endpoint or kinetic assay. 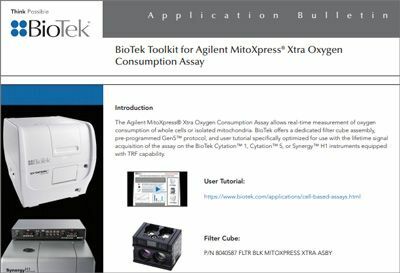 The Oris™ Cell Migration Assay (Figure 1) is a multistep process that starts with the application of a mask to the bottom of the wells of a 96-well microplate. 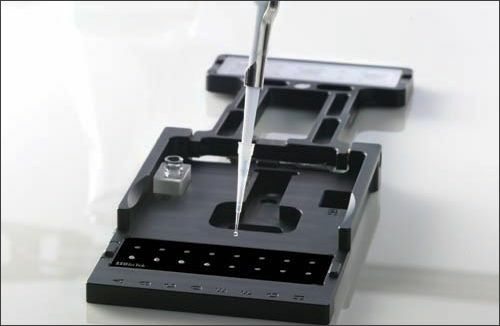 In addition a polymeric insert is fitted to the inside of the wells of the microplate. 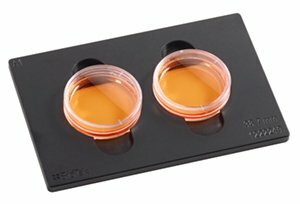 This insert prevents cells from seeding the inner analytic zone of the well when cells are added to the wells of the microplate. After cell attachment has occurred, the inserts are removed, allowing cells to freely migrate into the central analytic zone of the wells. 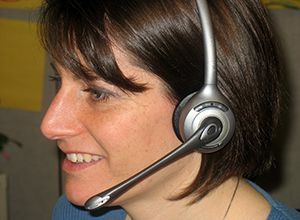 Cells that have not migrated into the analytic zone are blocked from view by the mask initially applied to the plate bottom. 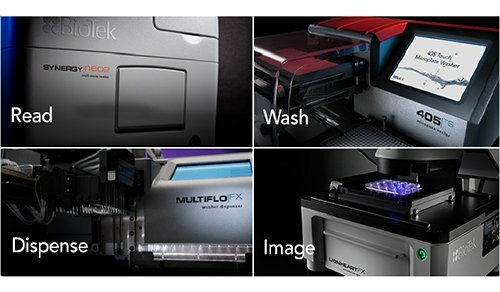 Migrated cells are analyzed by microscopy or by detection with a Synergy HT Multi-Mode Microplate Reader using fluorescence. Figure 1. Oris™ Cell Migration Assay Schematic. 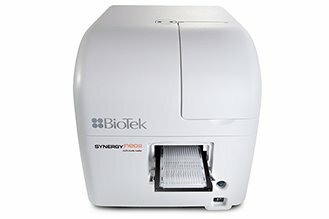 The Synergy HT is a Multi-Mode Microplate Reader that utilizes two independent sets of optics to provide uncompromised performance. For absorbance measurements there is a xenon-flash lamp with a monochromator for wavelength selection and photodiode detection. 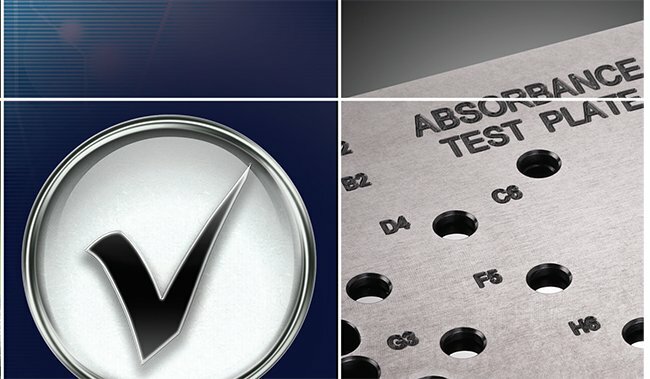 This allows the selection of any wavelength for endpoint or kinetic measures from 200 nm to 999 nm in 1 nm increments, as well as spectral scans. 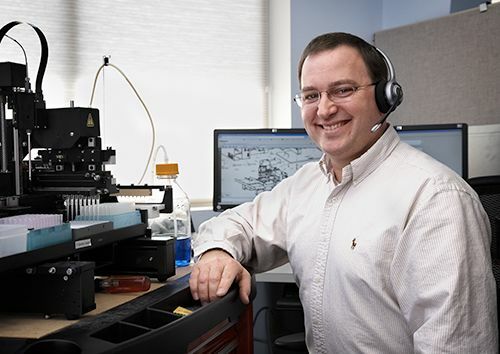 Traditional visible wavelength fluorescence measurements are made using a tungsten-halogen lamp with interference filters (excitation and emission) for wavelength selection and photomultiplier (PMT) detection. 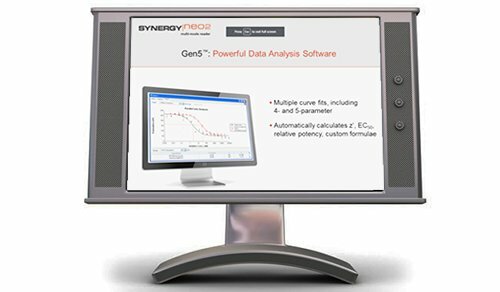 Glow luminescence measurements are also easily accomplished in Synergy HT. The Synergy HT is capable of reading any plate format up to 384-well plates, provides temperature control up to 50°C and shaking as standard features. Calcein AM (C3099) was obtained from Invitrogen and Cell Tracker Green (PA-3011) was obtained from Cambrex BioSciences. Mitomycin C, (47589), was obtained from Calbiochem, while Latrunculin A (T119) was obtained from BIOMOL. FBS was obtained from Atlanta Biological and EGF (E3476) was obtained from Invitrogen. 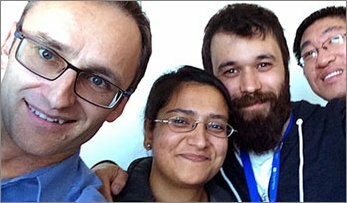 The Oris™ Cell Migration Assay was obtained from Platypus Technologies. NIH 3T3 fibroblast and HT1080 fibrosarcoma cell lines were obtained from ATCC (Manassas, VA). Human corneal epithelial cells (HCEC) were obtained with permission from K. Araki Sasaki (Institute of Ophthalmology, Tane Memorial Eye Hospital, Kumamoto, Japan). 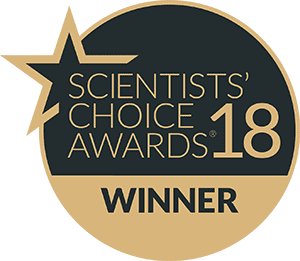 All cell lines were seeded at 100 µL/well (HCEC and 3T3 cells were pretreated with MMC) and the plates were placed in a cell culture incubator (5% CO2, 37°C, humidity tray) to permit cell adhesion. Following incubation, the inserts were carefully removed, wells were gently washed with cell culture media, and cells received fresh culture media. The cells were then incubated for varying lengths of time to permit migration. The cell populations in endpoint assays were next stained with 0.5 mM Calcein AM for 30 min in PBS), rinsed with PBS, and the plates dried overnight. 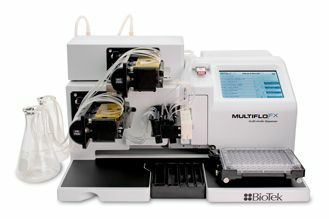 The amount of fluorescence signal was measured for each well using a Synergy HT Multi-Mode Microplate Reader (BioTek Instruments, Winooski, VT). Figure 2. Kinetics of HT1080 Cell Migration in the Presence of FBS. Images are fluorescent photomicrographs at t = 0 and t = 21 hours (in the absence of the mask). The analytic zone, into which cells have migrated, is encircled by the white dotted line. Initial experiments demonstrated cell migration into the center analytical zone. HT1080 cells were pre-treated with mytomycin C (MMC) for 2 hours to inhibit proliferation and then stained with 2.5 mM Cell Tracker Green. The cells were seeded at 50,000 cells/well in media containing 10% Fetal Bovine Serum (FBS) and allowed to adhere. Inserts were removed, and the plate was incubated to permit cell migration. As demonstrated in Figure 2, FBS-stimulated, non-proliferating HT1080 cells almost completely fill the analytical zone within 21 hours of removal of the mask. 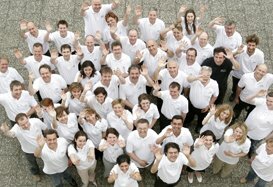 Furthermore, when the migration is examined over time, migration was detectable in less than 4 hours. And linear in the presence of FBS was linear over a 28.5-hour period (Figure 3). Figure 3. 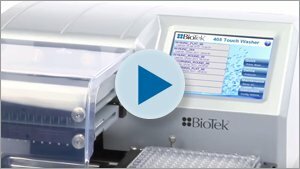 Kinetics of HT1080 cell migration demonstrated by with the Oris™ Cell Migration Assay. 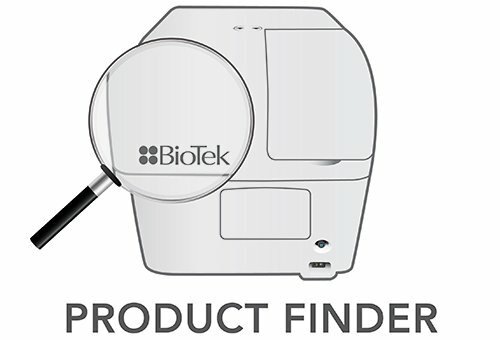 The fluorescence in the analytic zones were quantified at t = 0, 1, 2, 4, 6, 22 and 28.5 hours using a BioTek Synergy HT Multi-Mode Microplate Reader. The fluorescent signals were transposed to cell #'s using a standard curve and a 5-Parameter Logistic Fit Equation (5-PLE) applied. Each time point represents the mean and standard deviation of nine wells. Using SV-40 transformed Human Corneal Epithelial cells (HCEC), the effect of serum concentration on cell migration was examined. HCEC cells were pretreated with MMC, seeded to confluency, and allowed to adhere. Inserts were removed and media with various concentrations of FBS (0 - 10%) was added to the wells, and the plate was incubated for 24 hours to permit cell migration. The cells were labeled with Calcein AM and the fluorescence quantified in the analytic zone using a Synergy HT Multi-Mode Microplate Reader. As demonstrated in Figure 4, the stimulatory effect of FBS was dose-dependent. Migration of cells in the presence of at least 0.5% FBS was significantly higher than that observed in the absence (0%) of FBS. Figure 4. Fetal Bovine Serum Stimulates Migration of Human Corneal Epithelial Cells (HCEC). Each column represents the mean +/- Standard Error of the Mean (SEM) of eighteen (18) wells. Similar results were observed when Epidermal Growth Factor (EGF) was used to stimulate cell migration. 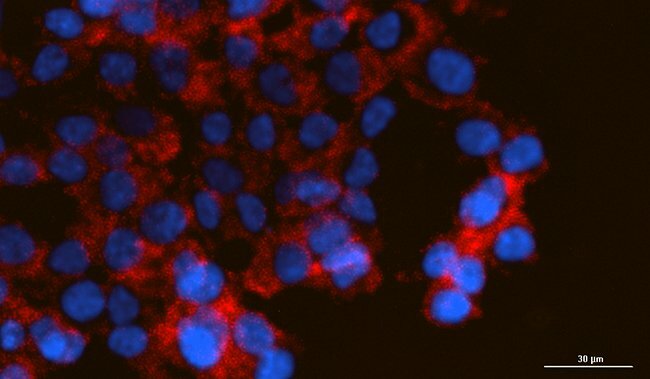 As seen in Figure 5, when non-proliferating HCEC cells are seeded with increasing concentrations of EGF in the absence of FBS a dose response is observed after 24 hours. 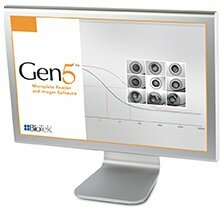 Migration of cells, as measured using the Oris™ Cell Migration Assay in the presence of at least 0.1 ng/mL EGF was significantly higher than that observed in the absence of EGF. Figure 5. Epidermal Growth Factor Migration Stimulation of Human Corneal Epithelial Cells (HCEC). Each column represents the mean +/- SEM of eighteen (18) wells. The effect of cell motility inhibitors was also investigated. The influence of the Actin binding compound Latrunculin A on the migration of NIH 3T3 fibroblast cells was examined using the Oris™ Cell Migration Assay (Figure 6). NIH 3T3 fibroblast cells were pretreated with 5 µg/mL MMC to inhibit proliferation, and then 25,000 cells/well were seeded and allowed to adhere. Inserts were then removed and Latrunculin A (0 - 1000 nM) in the presence of 10% FBS was added to the wells, and the plate was incubated to permit cell migration. 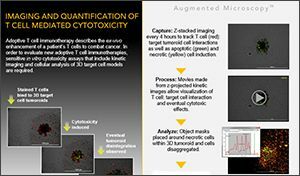 The cells were labeled with Calcein AM and the fluorescence quantified in the analytic zone using a Synergy HT Multi-Mode Microplate Reader (BioTek Instruments). Figure 6. Latrunculin A Inhibits Migration of NIH 3T3 Cells. Each column represents the mean +/- SEM of nine wells. The negative control represents wells in which the inserts remained in place after cell seeding and were not removed until the conclusion of the assay when the staining step occurred. As seen in Figure 6, Latrunculin A inhibits the migration of NIH 3T3 cells in a dose-dependent fashion. Complete inhibition of NIH 3T3 cell migration was detected in the presence of at least 500 nM Latrunculin A. When the effect of Latrunculin A on HT1060 fibrosarcoma cells was investigated a similar dose effect was observed (Figure 7). HT1080 fibrosarcoma cells (30,000 cells/well) were seeded and allowed to adhere. Inserts were removed, Latrunculin A (0 – 200 nM) was added to the wells in the presence of 10% FBS, and the plates were incubated to permit cell migration. The cells were labeled with Calcein AM and the fluorescence quantified in the analytic zone using a Synergy HT. Complete inhibition of HT1080 migration was detected in the presence of 100 nM Latrunculin A at 6 hours of incubation. Figure 7. Latrunculin A Inhibition of HT1080 Cell Migration. Each column represents the mean +/- SEM of five wells. The negative control represents wells in which the inserts remained in place after cell seeding and were not removed until the conclusion of the assay when the staining step occurred. 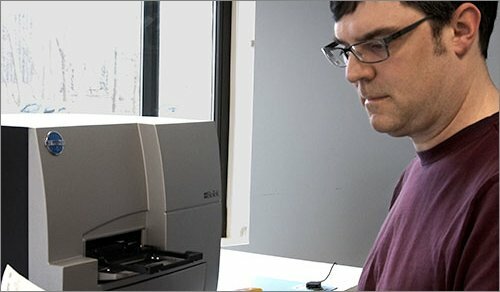 The Oris™ Cell Migration Assay is a novel, 96-well, 2-dimensional cell migration assay that permits screening of multiple test compounds at various concentrations on a single assay plate. 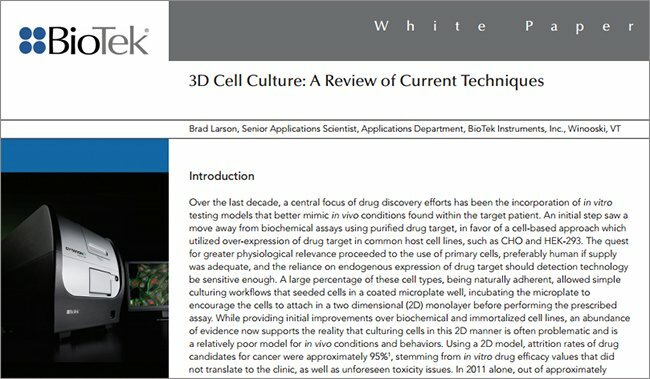 Results provided demonstrate its utility for studying the effects of modulators of cell motility in multiple adherent cell types. As shown here, the Oris™ Cell Migration Assay can be used to detect and quantitate the effect of promoters (e.g., FBS and EGF) and inhibitors (e.g., Latrunculin A) on the migration of NIH3T3, HCEC, and HT1080 cell types. 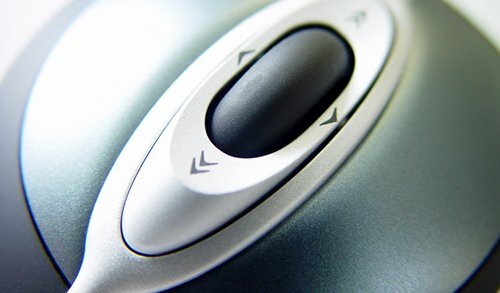 It is amenable to endpoint as well as kinetic cell migration studies. 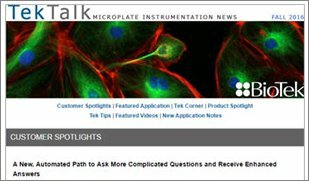 This novel assay format provides a new tool for high throughput screening of test compounds for the modulation of cell migration. 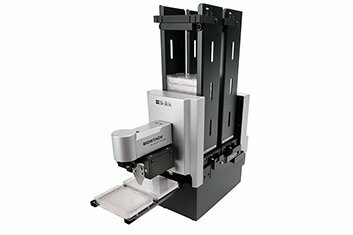 The Synergy HT is Multi-Mode Microplate Reader capable of performing fluorescence measurements from either the top or the bottom of the microplate wells. Using deep-blocking filters to provide wavelength specificity, the reader is capable of faithfully detecting low levels of fluorescence. As a result, the migration of cells into the analytical zone can be detected as soon as 4 hours for some cell types. Araki-Sasaki K, Ohashi Y, Sasabe T, Hayashi K, Watanabe H, Tano Y, Handa H.; Invest Ophthalmol Vis Sci. 1995. "An SV40-immortalized human corneal epithelial cell line and its characterization"; 36 (3): 614 - 21.